Professor Do Min Joon was giving a lecture about psychology skinship. After that, we were resumed back to the Kiss. Their heartbeats keep rising even when they lie on the bead. 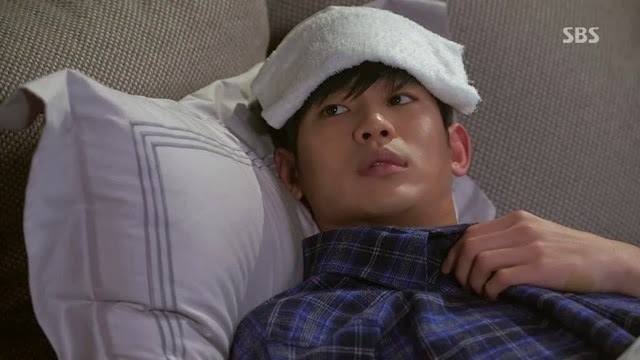 Song Yi heartbeat resumed to normal after a while, however Min Joon heartbeat continue to raise until he developed a fever. Song Yi checked on him and suggested to bring him to a doctor, Min Joon shoo her away while insisting that he will be fine if she leave him alone and he does not need a doctor. On the other hand, Jae Kyung secretary make the connection between Min Joon and Song Yi. Jae kyung deduced that the USB must be with Min Joon. He twisted the ring on his finger and seem to be in deep thoughts. Song Yi called Bo-Ja for advise and she said the best way is to strip him naked and use cold towel to clean his body. Song Yi did what she was told and and unbutton his clothes, Min Joon woke up in shock. He ordered Song Yi to get out of the room. Wondering why Min Joon develop a fever after the kiss, Song Yi asked Min Joon is that his first kiss? Min Joon stumbled with his words and replied no. Min Joon woke up in the middle of the night and found the window wide open. Feeling cold, he tried to use his power to close the window but was too weak to do so. He intended to get up and close the window when he almost stumble on Song Yi who wrap herself like caterpillar with the sleeping bag. 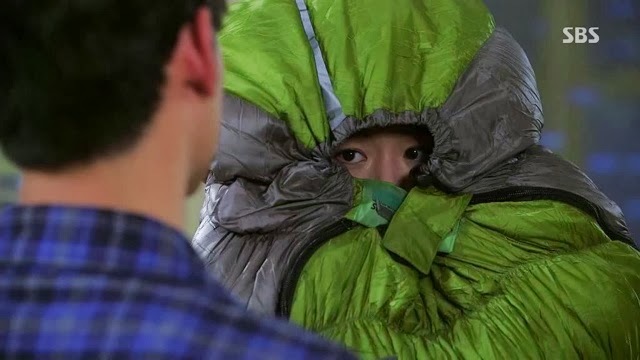 Annoyed with Song Yi chattering way, Min Joon refused to help Song Yi get out of her sleeping bag. He carried her and placed her on the couch before going back to his bed. 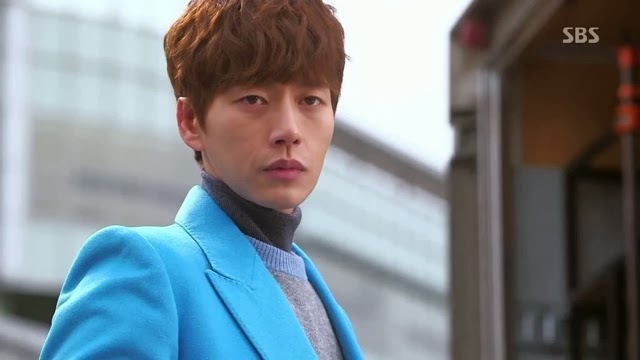 Meanwhile, a shady intruder broke into Min Joon's office in school and access to the computer. Lawyer Jang came to visit Min Joon and asked him about the cause of his illness. He recalled the previous time when he became ill was during the time when he work in a bank. A hateful employee spat into his coffee and after that he had to lie on the bed for a week. Lawyer Jang wonder if he and Song Yi share food. Min Joon said that it was something like that. Lawyer Jang had guess that and commented that he should have control his urge. Lawyer Jang asked Min Joon is it necessary for him to leave? Min Joon kept silence although it looks like he is questioning himself too. On the other hand, the investigator found out about Yura pregnancy before she died. Dectective Park deduced that Min Joon must be Yura boyfriend . He had been two timing Yura and Song Yi. When he found out about her pregnancy, he decided to kill her to tie up loose end. Prosecutor Seok is at least skeptical about this logic and insisted to find out more evidence. Song Yi tended to Min Joon and she remembered the other time when she saw a note written by him. She wonders is Min Joon suffering from a terminal illness and have only three months to live. Jae Kyung found out that the surprise news that Yura was going to announce on the cruise was about her pregnancy. Which means that the investigator could find out that he is the baby father since Song Yi knew about their relationship. Song Yi mother met up with a new agency CEO who offer her a generous contract. It turns out that he had offered Song Yi to act in adult movies. Song Yi mother was enraged and splashed water on the CEO face. The pretense drop on both side and the CEO accused of Song Yi mother of selling her own daughter. Both of them quarreled and hurl curses at each other. Song Yi found Min Joon resting and commented that his 'father' worries about him. Min Joon asked Song Yi about her father instead. A flashback to Song Yi teenage days. She came back home and overheard her parents conversation. It was about financial problems and her parents were going seperate ways. Both of them wanted to take custody of each child. Song Yi mother insisted on taking Song Yi with her since she had fostered her. Her father wanted Song Yi as a source of money too. Disappointed with her father, she stated that he is not her father anymore and wanted him out of her life. She regretted saying that now as it could be a misunderstanding. That was the day when she rushed out of the house and was almost ran over by a truck. She could not remember who save her on that day. Min Joon listened to her story, without betraying any reaction. Song Yi phone rang and Min Joon was tense up. He gave a sharp look at Song Yi cell phone and it drops on the floor. Alt least now Min Joon knows that Jae Kyung was at Song Yi now ransacked apartment. Min Joon excuse himself and waited at the exit for Jae Kyung. At the elevator, Min Joon warned Jae Kyung against hurting Song Yi. Jae Kyung see him as a little boy and posed no threat to him at all. The door closed and he gave a self satisfied smirk. The lift goes down and when the door open, Min Joon surprisingly stood infront of him. He stated to Jae Kyung that there is something that he does not know. That is he cannot kill him. Min Joon went back to Song Yi side and watches her sleep. He thought to himself about how Song Yi wanted someone by her side and Lawyer Jang words about leaving the people who will miss him. Se Mi went to the school to look for Min Joon. She puts on an innocent face and talk about her misunderstanding with Song Yi. Then she tried to fish out some information when she asked him how they met each other. She requested Min Joon to be the middleman to help her reconcile with Song Yi and Min Joon agreed to help. Se Mi continued to put on her pretense with her stylist and assistant, assuring them that it is better to work with her. However, both of them preferred Song Yi instead as they are still attached to her. Kwi Kyung visited Se Mi at the filming set. He watches as Se Mi co-star took advantage of her. He even boasted about it to his buddy at the phone. 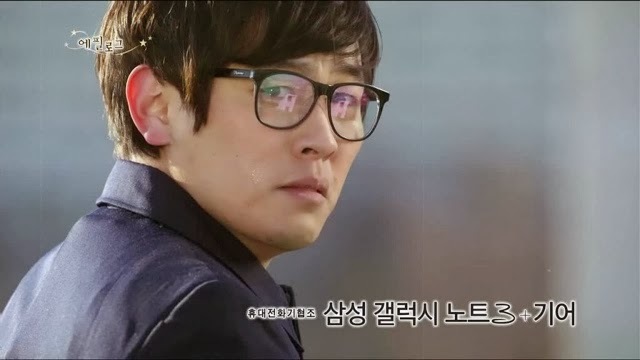 Enraged, Kwi Kyung purposely knocked over that scumbag to teach him a lesson and gave him a warning stare. Song Yi was angry that Min Joon met up with Se Mi. She scoffed that Se Mi is not her friend. Min Joon told her to look at herself first and it could be her fault that she is lonely. Upset with Min Joon, she knocked herself in Min Joon room. 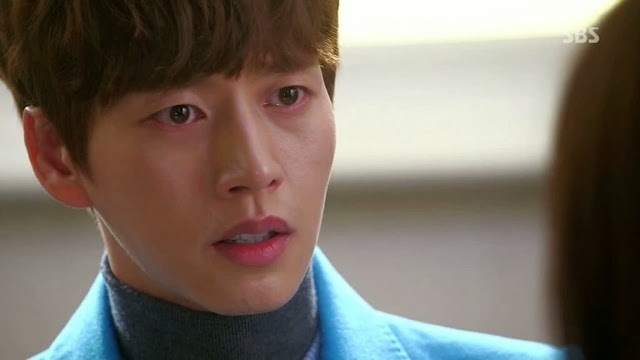 After Se Mi confession, Kwi Kyung realized that he was insensitive to her feeling all these while. He felt sorry that he could not accept her love. Just like Se Mi, he also harbor one sided love towards Song Yi. Se Mi cries softly and before Kwi Kyung left, she told him about Song Yi strange neighbor. She handed over a photograph that was taken twelve years ago. She was suspious that he was the same guy that saved Song Yi. After her fit of anger, Song Yi got out of the room and find an empty apartment. Min Joon had went out or buy beer and chicken. Door bell rang and Song Yi opened the door and find Kwi Kyung stood at the door. He wanted Song Yi to leave this apartment now, stating that she can move into his one of his villa. Kwi Kyung met Min Joon at the lift lobby. He grabbed hold of Min Joon and stop him from leaving. Looking at Min Joon, Kwi Kyung remembered him from past memories. On the other hand, Song Yi came across a trash bag which contained the bloody rag. She discovered the glass shards that Min Joon had picked out from his hand. She recalled the last moment at the cliff incident. Suspicious arouse from both sides. Who exactly is Min Joon? An interview was conducted and Min Joon talked about him being cautious about using his supernatural power as some people may use his power for personal gain. Then he talk about his supernatural power such as being able to freeze time for one minute and teleport himself from one spot to another within seconds. He revealed there was once he used his supernatural power. 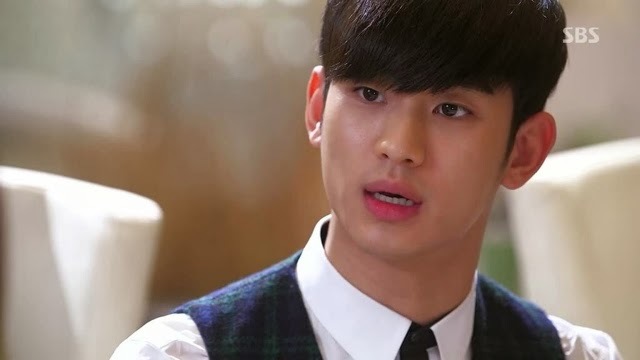 We were back to the time when Min Joon worked in a bank and the hateful employee spat in his coffee. Min Joon supernatural power was weaken. A young Lawyer Jang came desperately to borrow money from the bank but was rejected. Feeling dejected, he wanted to jump off the building but was eventually saved by Min Joon. Because of this, Min Joon had gained a friend. Finally we know how Lawyer Jang and Min Joon became such great buddies. It was interesting that Min Joon with a young appearance is actually older than Lawyer Jang who looks older than Min Joon but in actual fact, he is younger than Min Joon. 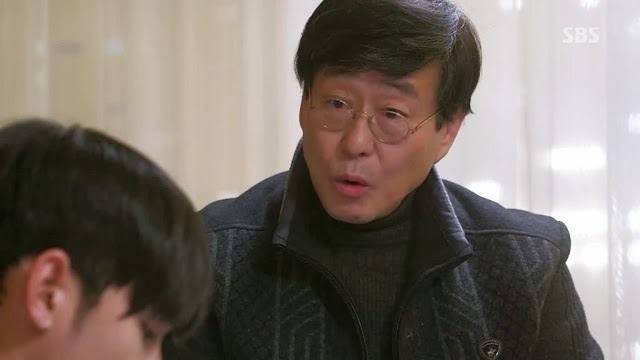 It was funny that Min Joon is like a grumpy old man contradictive to his young appearance. Aliens also have their weakness and that was found out through trial and errors. Min Joon will be weaken if he associate too much with humans. Therefore, Min Joon is cautious to eat alone. He tried to minimize contact with human beings, or else the human blood or Saliva will weaken him. Maybe he will become more like human since he did notice his physical changes. I love the reaction of Jae kyung when Min Joon surprised him at the elevator. That smirk smile faded when he saw Min Joon waiting for him at the elevator door. It is clear that Min Joon is not someone to be mess with. I find that gratifying when the villain who thought that he has the upper hand became the loser in this mind game. Last but not least, I really hope that Min Joon will stay by Song Yi side. However, Min Joon will live forever but Song Yo will die the natural death. If Min Joon leave, Song Yi will be heartbroken. Either way it will still be cruel to both Song Yi and Min Joon. Is this love destined to be doom from the beginning?